This monument was designed after one of the famous sentry boxes–or garitas –found at El Morro Castle in San Juan, Puerto Rico. 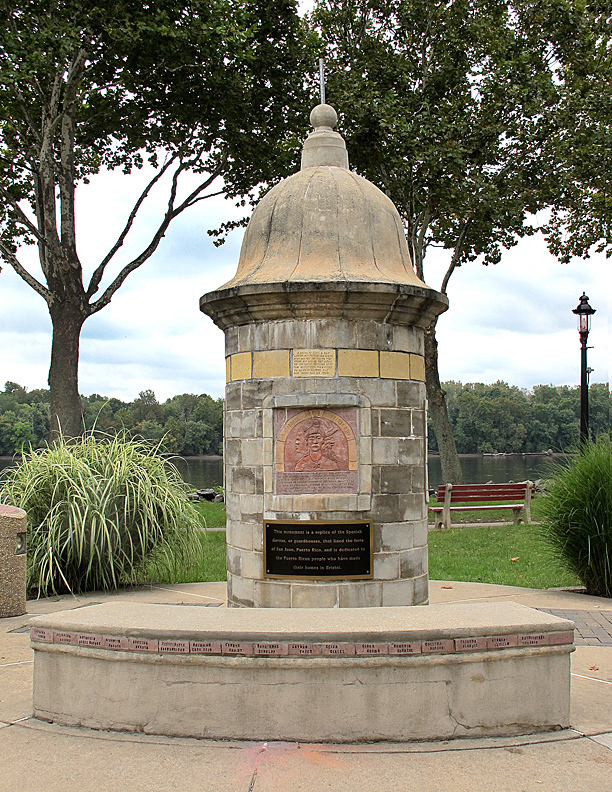 The Hispanic Heritage Foundation and Communidad Hispaña Unida de Bristol (The United Hispanic Community of Bristol) erected it in 1998 using volunteer labor. The faces on the monument represent the “three cultures” of Puerto Rico: Europeans, Indigenous peoples, and Africans.